Am I a good candidate for the Chin Liposuction procedure? You might be a good candidate if you are in overall good health, do not smoke, and have excess fat and/or skin in the neck area. Chin Liposuction is similar to other types of liposuction, except a micro-cannula is used rather than a full-sized cannula, and removes only small amounts of fat. The procedure lasts about 45-60 minutes under local anesthesia or light sedation. Dr. Jejurikar will be happy to talk with you personally to address any of your questions or concerns. 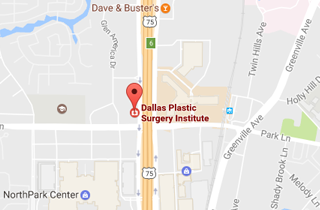 Call (214) 827-2814 to schedule your one-on-one consultation with Dr. J. to discuss Chin Liposuction at our office located in Dallas, TX.